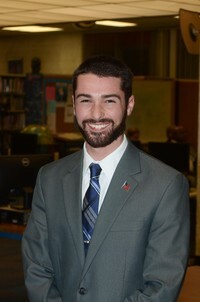 Jason Nunnermacker, a lawyer who ran unsuccessfully for City Council, was president of the Hackensack Board of Education until he was defeated in the April 2018 school board and budget election. 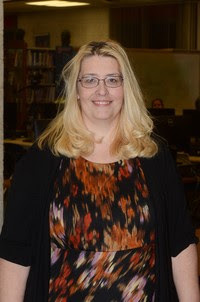 The seat held by Lara L. Rodriguez, who is now Board of Education president, is one of three that will be open in the April 16 school and budget election (photo from Hackensack Public Schools website). Editor's note: Now that the special school election in Hackensack is behind us, residents have another election coming up in April, when they can vote for three members of the Board of Education and say "yes" or "no" to a proposed budget for the 2019-20 school year. HACKENSACK, N.J. -- Mayor John Labrosse and other members of the City Council hope to build on their victory in Tuesday's special balloting and take control of the Board of Education after the April school election. If three council-backed candidates are successful in defeating incumbents on April 16, they would join three elected in 2018 to form a 6-3 majority on the school board. City officials also are hoping the many older homeowners who voted against the $170 million school construction and renovation proposal on Tuesday will also reject the proposed tax levy to support the 2019-20 school budget that will appear on the April ballot. About 45% of the property taxes paid by every home, condo and small business owner goes to support the city's schools. Last April, voters approved a tax levy of about $82.9 million to support a 2018-19 school budget of about $117.2 million. School officials haven't made public the proposed tax levy or budget for the 2019-20 school year. On Tuesday, 2,917 ballots were cast, with 2,265 against the proposed $170 million bond issue and 30-year tax hike, and 652 in favor. The results from the Bergen County clerk's Election Division included 499 mail-in ballots (305 against, 194 in favor) and 51 provisional ballots (38 against, 13 in favor). On April 16, rejection of the proposed tax levy would allow the City Council to trim the budget and recommend reductions in expenditures or leave it as it is. The school board is obligated only to follow the dollar amount of the cuts, not any specific recommendations. But if council allies win and flip control of the board, any recommended cuts likely would be adopted. Then, the council would perform a forensic audit of the budget, which has soared above $100 million in recent years, exceeding the city's own budget. And they'd also work quickly to determine how many students from out of the district are attending city schools at taxpayers' expense. As many as 200 students from Paterson, Newark and New York City may be illegally attending school in Hackensack, one council member said. If school officials hope to salvage their plan to renovate existing schools at a cost of about $68.3 million, they would have to give two months' notice for it to appear on the April ballot. The rest of the plan rejected by voters on Tuesday -- $101.5 million to build a new junior high school and parking garage on the high school campus -- appears dead for the foreseeable future. In the school election last April, the three open seats being contested were held by Mark A. Stein, Jason Nunnermacker and Daniel F. Carola, portrayed by critics as stooges of the Zisa family political machine. They were defeated by three council-backed candidates, Frances Gogelja, Lancelot Powell and Carlos Velez. Starting in 2013 and with the Zisas' backing, Nunnermacker, a lawyer, had tried but failed repeatedly to get elected to the City Council. Still, other city residents believe Stein and others on the school board were loyal to local Democratic Party officials. Bu that ignores Team Hackensack, described by former four-term Mayor Jack Zisa in March 2016 as a new "community organization" formed to back candidates in municipal and school board elections. To kick off the effort, the former mayor, disgraced former Police Chief Ken Zisa and cousin Joseph Zisa greeted an overflow crowd of loyalists at the Crow's Nest Restaurant & Pub. 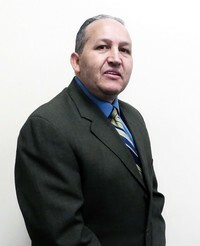 The seats of board Vice President Timothy J. Hoffman, above, and board member Modesto Romero, below, also are open in the non-partisan election on April 16 (photos from website of Hackensack Public Schools). LOOKING FOR SOMETHING IN MY OTHER BLOGS? Do You Really Know What You're Eating?